Should I Have a Chemical Peel or Laser Peel? We bet this is a question that you’ve asked yourself at one point or another. And while it seems that the answer should be straightforward, it really isn’t. That’s because it depends on a lot of different things: what you’re trying to correct/improve, your skin type (color), your budget, your available downtime, and how experienced your provider is should all be considered before you answer one way or another! First, let us clear up a common misconception: lasers are not always stronger than chemical peels. There are varying strengths of each. Chemical peels such as lower strength glycolic acid (less than 30%) and Jessner’s peels along with erbium laser resurfacing are very light. They remove only a few of the top cell layers (10 microns or 1/100th of an inch) and have no downtime. If you’re thinking, “why bother?” think again. These peels can really help brighten and freshen up the skin’s appearance. They definitely have a place at the table! On the other side are very aggressive, deep chemical peels such as the phenol peel. This peel can remove up to 300 microns or 3/10ths of an inch of skin. 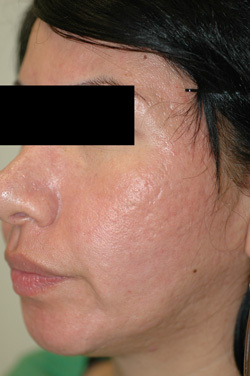 This is comparable to the depth of an aggressive laser resurfacing treatment such as the CO2 laser. So, both treatments are significant in terms of risks (infection, scarring, etc.) and healing time. Now, on to what you are treating or want to improve. As a general principle, the more severe the problem (wrinkling, acne scars, laxity), the more aggressive the procedure needs to be to see improvement. As an example, a 50-year-old smoker who sunbathes will need aggressive treatment as opposed to the 22-year-old who’s never been in the sun but just wants to “freshen up” her skin. These two patients both want to look better, but require different methods to get there. The last important point to make is that with any treatment, but especially with chemical peels, the more expertise your practitioner has with them, the better. In order get the most out of a peel, you need a very trained eye to watch for proper tissue reaction and timing. Too little means that you won’t get the results you’re looking for and too much can cause unwanted side effects and poor outcomes. Lasers, while still important to have thorough knowledge of how they work and the expected tissue response, allow for precise removal of tissue or exact depth of damage to the skin. 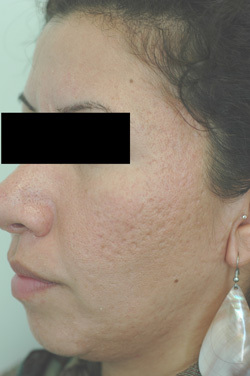 In this way, it may be easier to see consistent results with the lasers than with chemical peeling—especially when it comes to aggressive, deep peels – because the treatment itself is much more predictable. Always have a full evaluation and talk with the person performing your treatment prior to scheduling a procedure. Your skin type (color) needs to be carefully evaluated before either lasers or chemical peels, and you should always go over a history of any skin sensitivities that you’ve experienced in the past. Do your homework and come with a list of questions that you need answers to. Anything from cost, to downtime, to special care instructions should all be laid out up front, ahead of the day of your procedure so that you have time to prepare and plan for after your treatment. If you are interested and want to learn more about the programs and treatments that we offer here at Celibre Medical, please call us today for your free consultation!